Chennai Food Guide presents ‘Food Trucks for Charity’ as part of Daan Utsav 2018 and Seva Mela 2018, on 6th & 7th October 2018 from 10.00 am to 6.00 pm at the Lady Andal School Ground, Chetpet. This two day event will exhibit close to 75 Non-Governmental Organizations by bringing together social workers, corporate, volunteers and colleges under one roof. 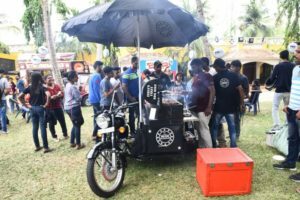 The Food Trucks for Charity will be an experience for people to explore different food cuisines served in Food Trucks along with some Unique Food Stalls towards offering specialty foods. The Food Trucks have come forward to contribute a part of the revenue to the Non-Governmental Organizations participating at the Daan Utsav & Seva Mela 2018. 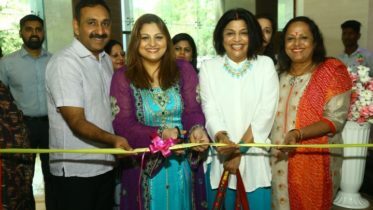 The event would also host other activities such as Seva Talent, a drawing competition for school children, a collection drive where one can donate old crayons, books, stationary, toys etc and many more activities all intending to encourage more people to come forward and extend their support by contributing to the participating NGO’s and the Under-Privileged Children.